Threat intelligence is certainly one of the most talked-about areas of information security today. Recent research conducted by SC Media revealed that 46 percent of security professionals expect threat intelligence to be a very important part of their strategy in 2017. But when it comes time to choose threat intelligence services and products it can be hard to know where to start. During this webinar, we’ll look at what types of intelligence will prove truly beneficial to your organization and how to get the greatest return on your investment. 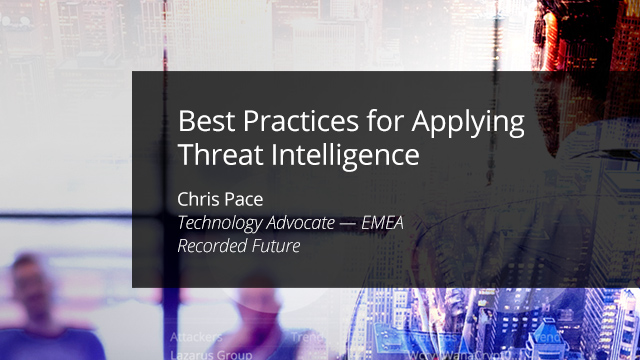 • Get best practices and case studies for implementing threat intelligence as part of your own information security strategy. • Understand the important distinction between threat data and intelligence. • Gain insight into the value of different intelligence sources and how to work with them. • Learn about the importance of context in threat intelligence.